Most kids don’t make staying organized a priority. That’s where a custom closet organization can really save the day. These personalized solutions can make all the difference in keeping clothes, toys, school supplies, and sports equipment organized and within reach. Their belongings are far less likely to become damaged or lost, making life easier for the entire family. 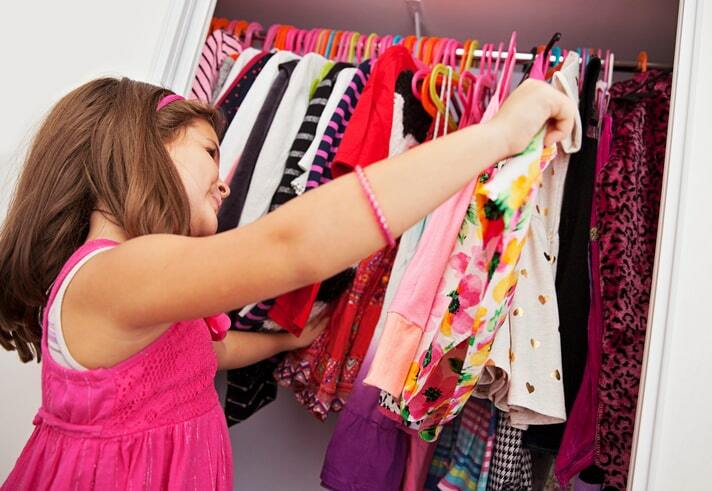 Consider these tips for optimizing your child’s bedroom closet. The ideal closet has the perfect mix of hanging rods, shelving, drawers, and accessories. 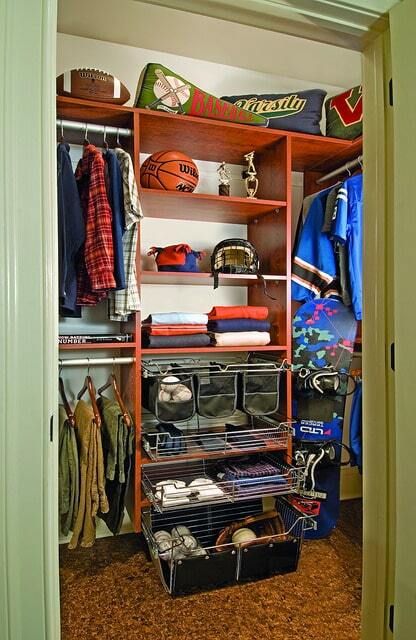 However, the “ideal” closet can change over time as your child grows older and their interests change. Ensuring that their closet is flexible will ensure that your child’s closet is always perfectly set up for their needs, no matter their age. Hanging shirts, pants, and jackets in groups of correlating colors can be fun for your child and make it easier to stay organized. Picking out outfits will be a breeze, making getting ready for school less of a chore. Do you kids have a lot of books and toys? Their closet can be the perfect home for them. Shelving, bins, and stackable boxes can give every toy a home so that kids will be (at least a little) more motivated to put them away after use. It’s a kid’s closet, so you have far more creative latitude than with other rooms in the home. 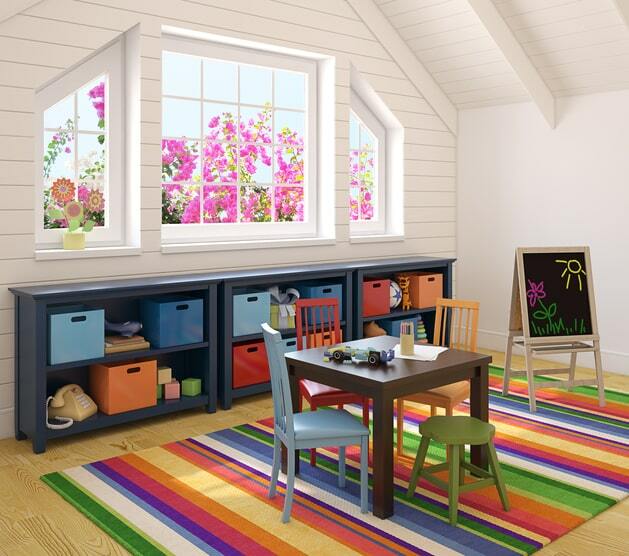 Consider painting it a fun color (or numerous colors) to reflect your child’s taste and personality. Adding images of their favorite animals or cartoon characters on labels can liven up the space while helping them stay organized. The little things can make all the difference. Invest in kid’s sized hangers, belt racks, and other accessories to provide even more storage for all your child’s things. Adding dividers to drawers and shelves can replace fabric bins and keep everything organized. Depending on the size of the closet, a hidden hamper or pullout mirror can help save even more space. Make dress-up and playtime more fun with a small dresser, mirror, and chair that can tuck away into the closet. Consider adding creative, eye-catching hardware to drawers and cabinets for fun and whimsical look. It’s hard to get kids to stay organized, but a closet with all the right elements can help. Use these six tips to create the perfect closet design for your child. If you’re in search of local closet organization experts, contact a Closet & Storage Concepts team near you! Photos: © Closet & Storage Concepts. [Bottom] © vitapix.